Our website applies a standard freight charge on most orders of $15.00 AUD including GST per delivery, regardless of quantity ordered. Heavy items such as Sealed Lead Acid (SLA) batteries are an exception to this ....extra freight charges may apply due to weight, transport method and delivery location. We will calculate this and notify you of any extra freight charge after your order is placed. This extra freight charge is at cost- meaning we seek to make no profit on freight. Please feel free to contact us for a quote on freight prior to ordering. 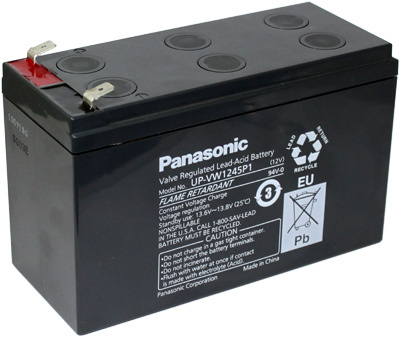 This battery is specifically designed for standby use, specifically Uninterruptible Power Supply (UPS) use. Not recommended for cyclic use. Superior performance & extended service life.